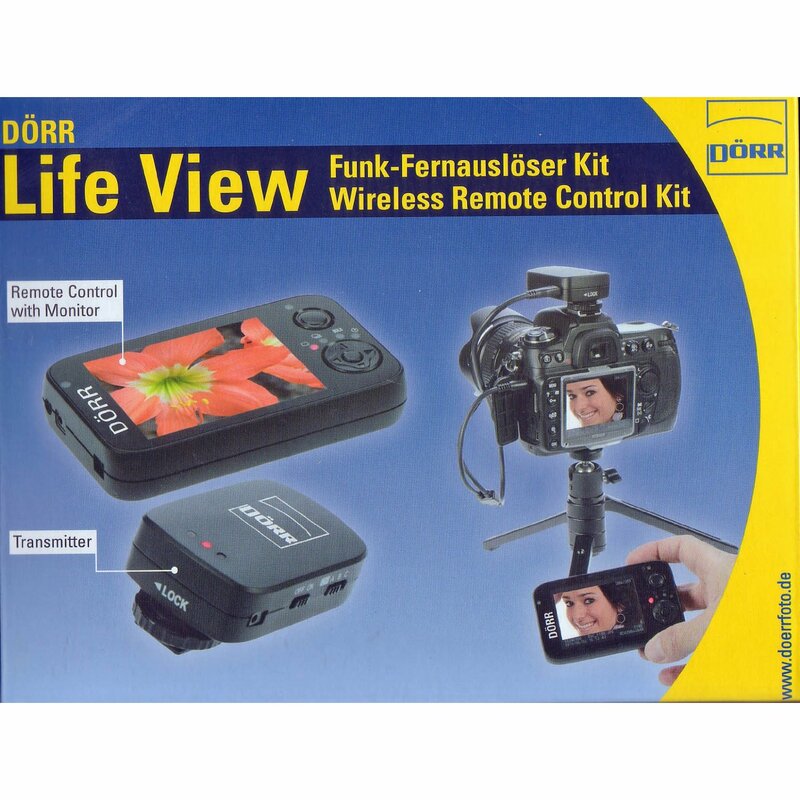 View live images from your Canon EOS camera wirelessly to the LCD Display of the image receptor with The Dorr View Live Radio Remote Control Kit for Canon LV-WRC. For use with cameras with Live View Mode. If required, you can trigger your cameras shutter with the radio using the following available programs: Single Image, Series, Long-term exposure BULB and Delayed release (self-timer). Single, Continuous, Long-term BULB tripping time delay recording. 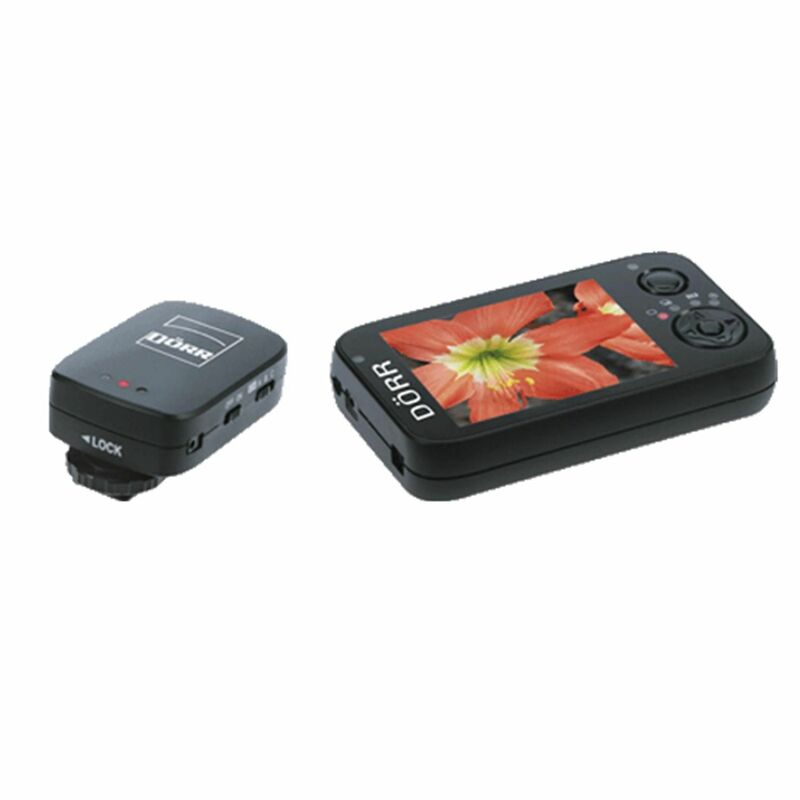 Canon Digital SLR Camera with AV output and remote release socket (only for cameras with Live View function). Connecting cable is supplied with the following models; Canon EOS 500D/550D/10D/20D/30D/40D/50D/60D / 1D & Ds (all versions) / 5D/5DMk II (Info about Canon EOS5 MkII: with Remote Control and Live View is the autofocus is not active). 2 x 3.7V 1200mAh Lithium Battery BL-6F (included with charger for mains and USB charging cable). About 500 hours to Sender. Recipients to approximately 500 hours. Up to 6 hours Transmitter. Receiver until about 4 hours.